The Sens’O is a LoRaWAN class A sensor that uses a disposable 3.6V A-type battery as power supply. 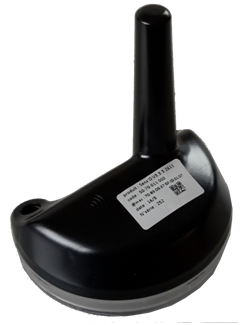 Sens’O detects each water meter turn (maximum disk rotation speed: 0.87 revolutions per second). The Sens’O device measures the consumption index and detects alerts such as leakage, fraud, back siphoning, low battery or risk of freezing. To start up the device, the plastic cover and protective film must be removed from the foam seal. 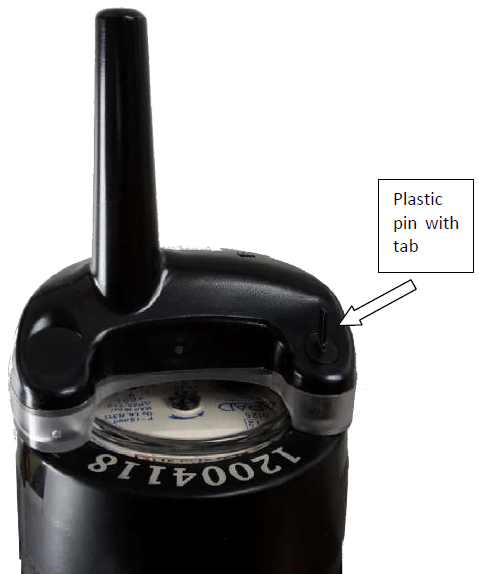 The foam seal is bonded to the transparent plastic piece under the device. The Sens’O device is compatible with the Arad water meter. It must be fitted with a golden half disk. The sensor must be attached to the water meter. Each turn means the water meter has detected a consumption of one litre. 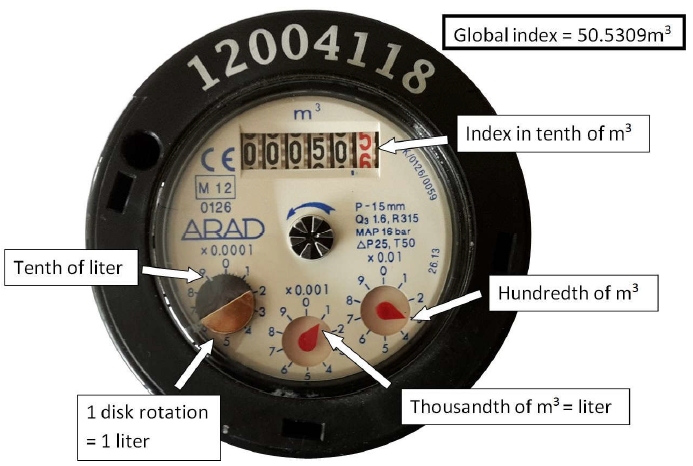 To complete the installation and begin radio transmission, the water meter must count more than 10 litres. For each disk turn, the red LED blinks one time. After checking that the installation is complete, a plastic pin must be inserted into the Sens’O and the water meter. This plastic pin locks the mechanical installation. Do not forget to remove the small tab by hand or using pliers, it prevents the risk of fraud by the user. To read the index precisely, each register must be recorded. The less significant register is in dL (graduations around the disk). In order for the sensor to operate correctly, the number of obstacles should be limited in order to avoid excessive radio wave attenuation. There is one red LED on the Sens’O device. Once the device is installed, it detects the presence of the water meter disk after a few seconds, and the red LED blinks 10 times. The Sens’O device implements “volume meter” and “senso” clusters. The device reports a batch every 24 hours, including Volume, MinFlow and MaxFlow of the “Volume Meter” cluster, and the Status of the“Senso” cluster. Another report is configured on the Status of the “Senso” cluster, as soon as the status changes. Report the volume on a variation of 25dl. The status has to be reported at least every 24 minutes, and a minimum time delay of 5 minutes has to be set between 2 reports. Timestamp and record the volume meter with a resolution of 1, a value has to be saved for each incrementation of the index. Timestamp and record the battery voltage with a resolution of 0.1V, a value has to be saved at least every 24 hours. All recorded data have to be concatenated and sent every hour at the most. →For the Volume Meter the delta has to be set to 0x00000001, the minimum to 0x0000, the maximum to 0x803c , the resolution to 0x00000001 and the tag to 0x01 (size 1 and label 0). The cluster to report is 0x8003 and the attribute 0x0000 (Volume). For Disposable Battery power voltage the delta has to be set to 0x0064, the minimum to 0x800a, the maximum to 0x85A0, the resolution to 0x0064, the tag to 0x09 (size 1 and label 1), the field to 0x04. The cluster to report is 0x0050 and the attribute 0x0006 (Node power descriptor). There are two different measurements to be recorded in the batch, so the tag size has to be 1. Label 0 can be used for volume meter and label 1 for the rechargeable battery level.